A buyer could wrap up a deal for the historic Hellaby Hall Hotel in Rotherham by the end of the year. The Grade II * listed building was put on the market after its operators entered administration. 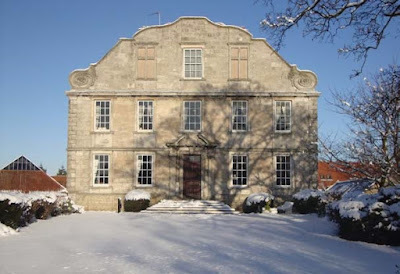 The 4 star hotel at Bramley includes 89 rooms in the converted 17th century house of Ralph Fretwell and is a popular location for weddings, functions and business. It also includes conference facilities, a restaurant and health & leisure club with two gyms, a swimming pool and health spa. In May, Prima Hotels was one of a number of connected companies and hotels to call in Ryan Grant, Lee Causer and Catherine Williamson, of AlixPartners Services UK LLP. Keeping operations open, the administrators took on the management of the affairs, business and property of the companies and appointed Legacy Hotels & Resorts Ltd to manage the day to day affairs of the hotels as their disclosed agent. It was agreed that the values would be maximised by selling the properties as operating hotels. In September, leading property agents, Savills began marketing of the portfolio that comprises four trading hotel properties, for sale and invited offers in excess of £18m. The four properties were also made available as individual assets. An update from the administrators shows that interest was high, with 78 non-disclosure agreements signed, 29 formal viewings arranged and a significant number of non-formal viewings also taking place. Four offers were made for the full, four property portfolio, and 14 offers were made on the individual hotels. The administrators state: "The offers received were reviewed by the administrators and Savills. After further negotiations with leading parties, Savills recommended the acceptance of four separate offers on the basis that these combined sales would maximise realisations. These offers have now been accepted and all parties are conducting further due diligence, with a view to all disposals completing by December 31." With a management company brought in to run the operations, all employees based at the hotels were retained and are expected to transfer to the prospective new owners of the properties. Operating a "business as usual" approach, continuing to trade and take bookings for rooms, events and conferences, all deposits paid before Prima entered into administration have been honoured and the hotels maintained substantially all of the pre-appointment bookings. The core of the business continued to trade profitably. Administrators admitted that even with the successful sale, the major creditor, the AIB bank, is unlikely to see all of the £24m it is owed. The group of companies had debts of £36m when it entered administration.